4. 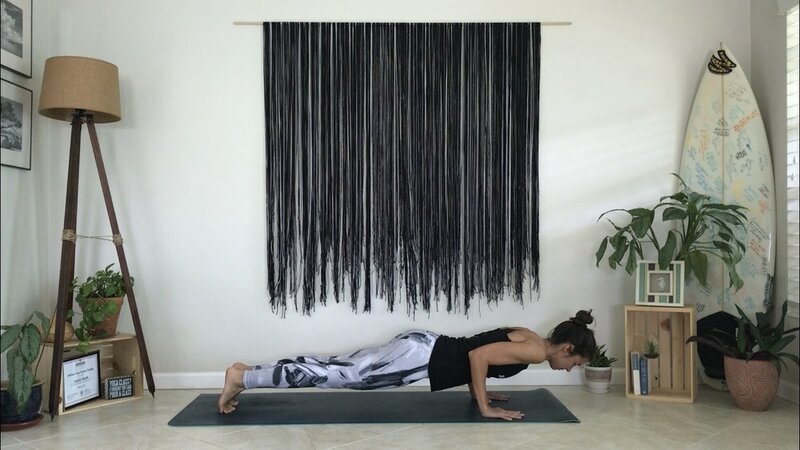 As with high plank, you should be able to draw a straight line from your heels to the crown of your head, being mindful not to let your hips hike up or sag down. You can modify this pose by lowering your knees down to the ground from high plank and then following the steps above!